Coach & Minibus hire for Manchester & the North West. Est over 30 years. Modern fleet, high specification, safe & reliable travel for short or long journeys – at affordable prices! A genuine family run coach hire business, established over 30 years, we have a well-deserved reputation as one of the North West’s premier coach hire companies. We change our fleet regularly to provide our customers with the highest standard of comfort by operating modern and contemporary luxury coaches, midi coaches and minibuses all fitted with the best in comfort and passenger features. If you are looking for coach hire in Manchester or the North West, or Minibus hire Manchester, and need any help or advice, or you are not sure which vehicle might be right for your needs? We’re here to help – just ask! 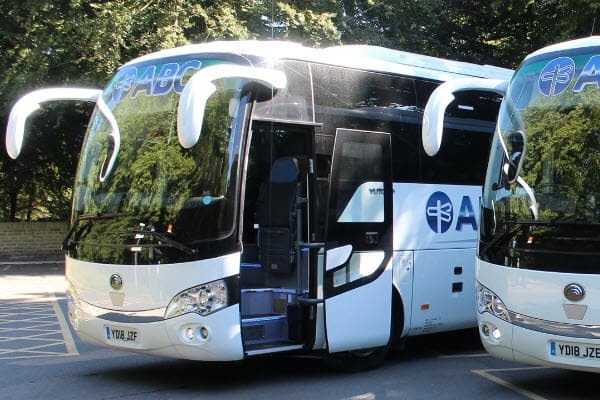 Why Choose ABC Coach Hire?